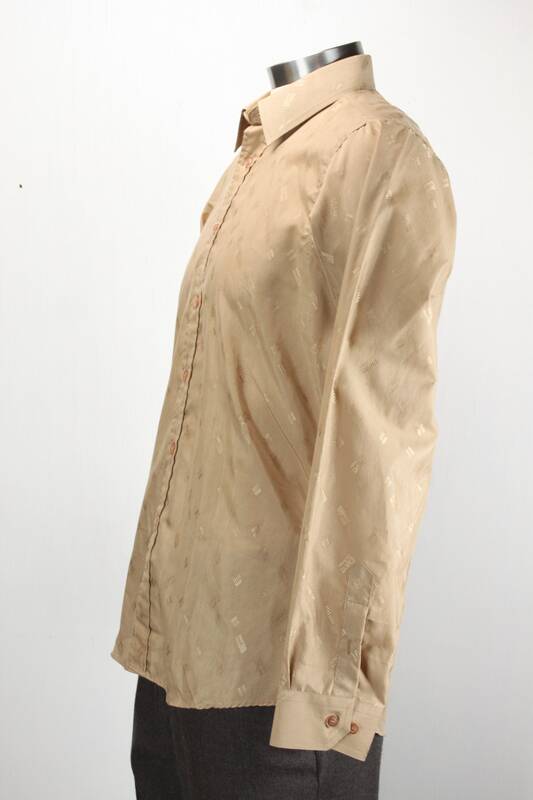 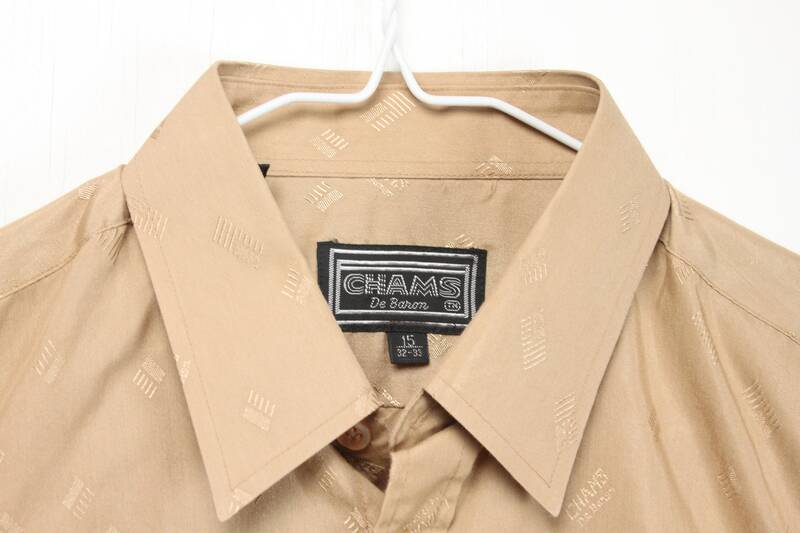 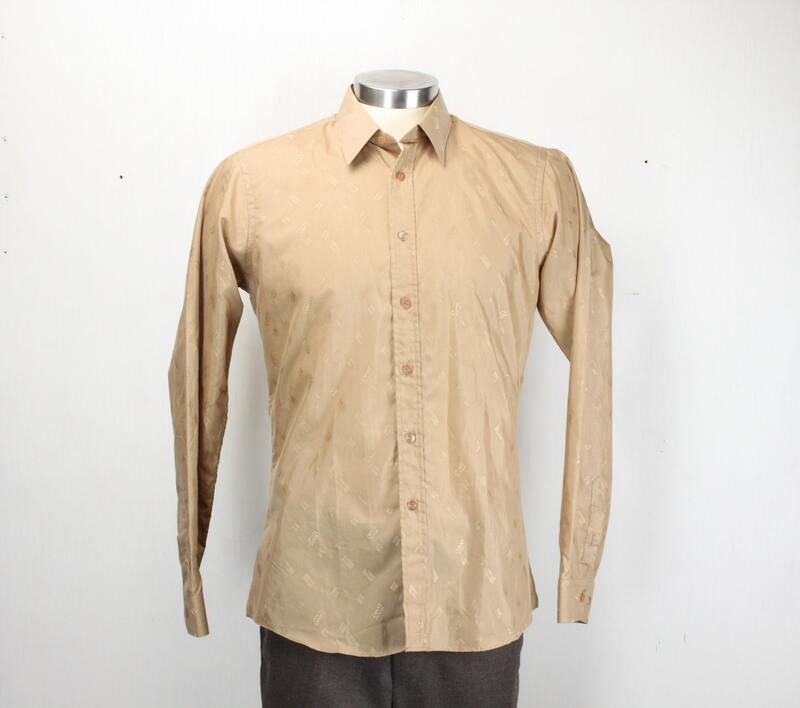 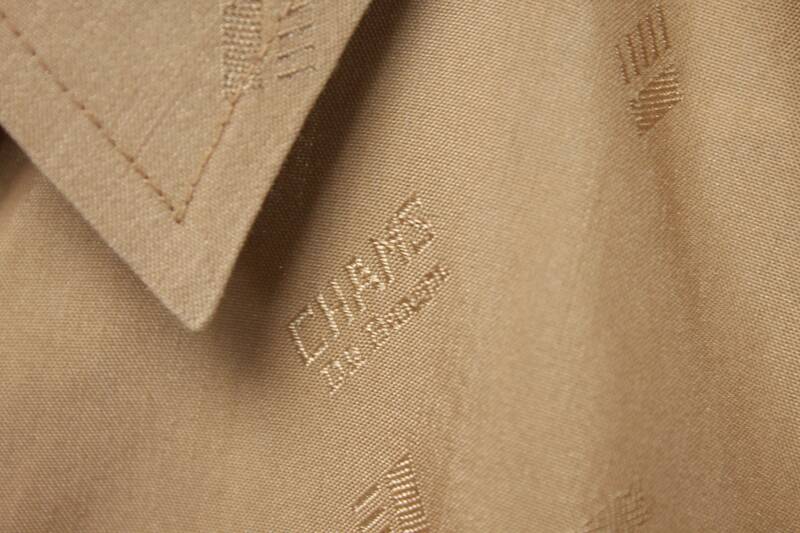 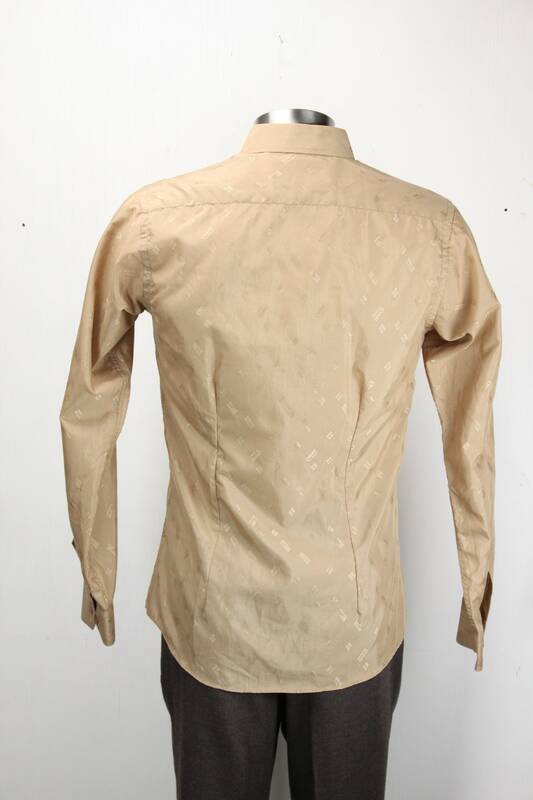 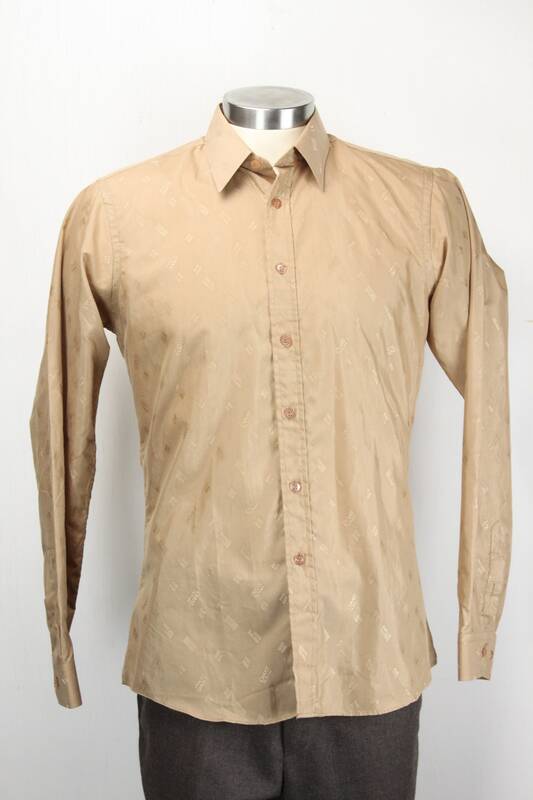 This shirt features a bold metallic logo pattern, cut away collar and two button notched cuffs. 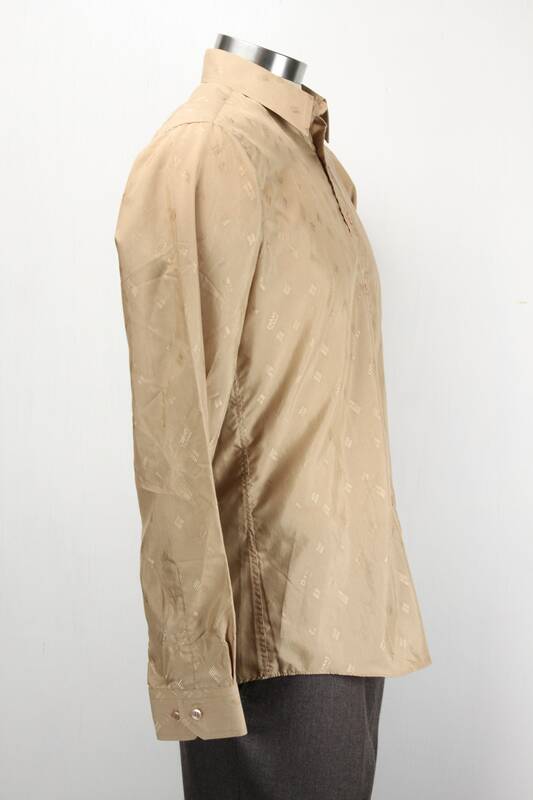 Made from medium weight, Polyester / cotton blend - this classic vintage shirt not only offers style but also exceeding comfort! 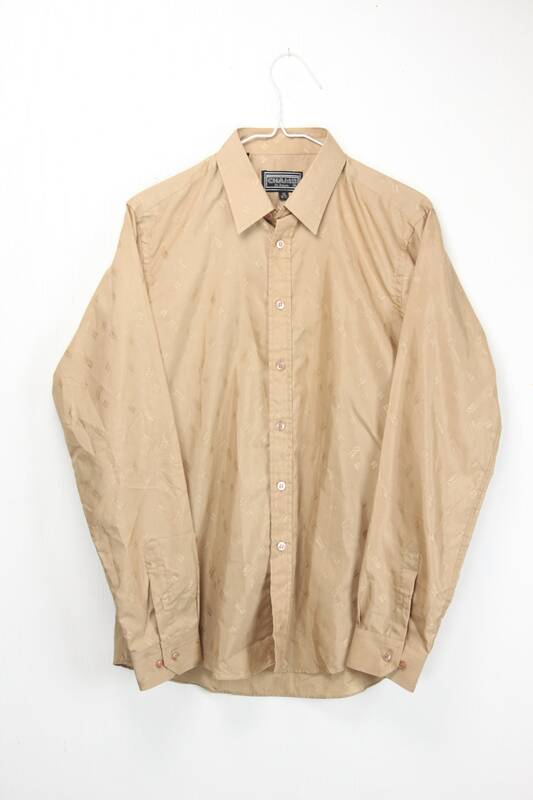 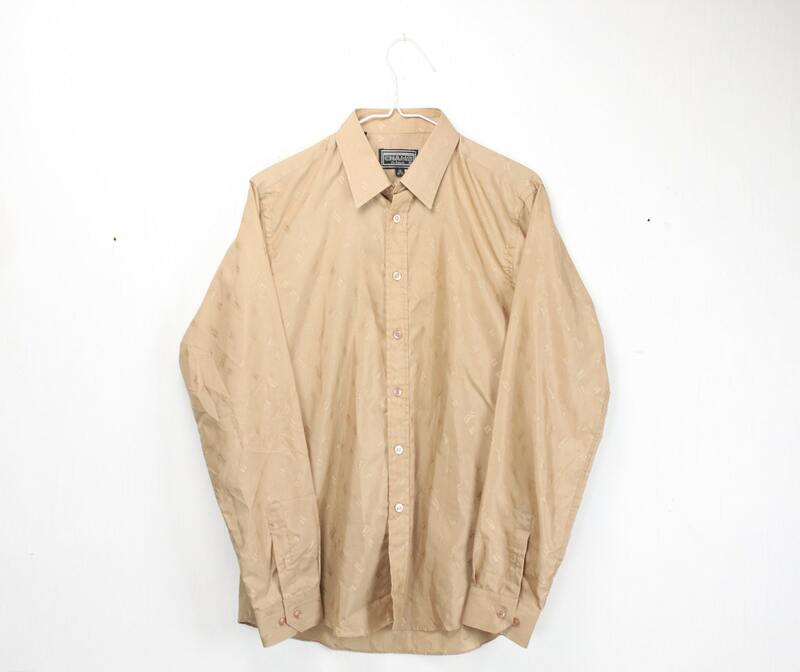 - Under Arm - Hem: 17.5"